The Boston Marathon is an annual marathon race hosted by several cities in greater Boston in eastern Massachusetts, United States. It is always held on Patriots' Day, the third Monday of April. Begun in 1897, the event was inspired by the success of the first marathon competition in the 1896 Summer Olympics. 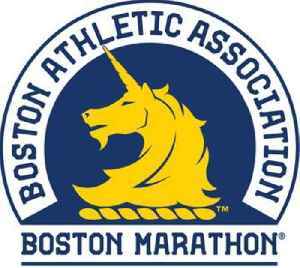 The Boston Marathon is the world's oldest annual marathon and ranks as one of the world's best-known road racing events. It is one of six World Marathon Majors. Its course runs from Hopkinton in southern Middlesex County to Copley Square in Boston.